I’ve completed the pattern for the puppet’s boots and cut out the pieces. My delicate work/life/art balance tipped precariously towards life this week with my daughter home sick with a cold that she kindly shared with me. I’ve also been working on the curriculums for my spring classes at Umpqua Community College. Searching for great animated material on YouTube to share with my students worked well with a sick kid on my lap. So, in the midst of all that, completing the boot pattern was a major achievement! Tune in next week to see how it comes together. 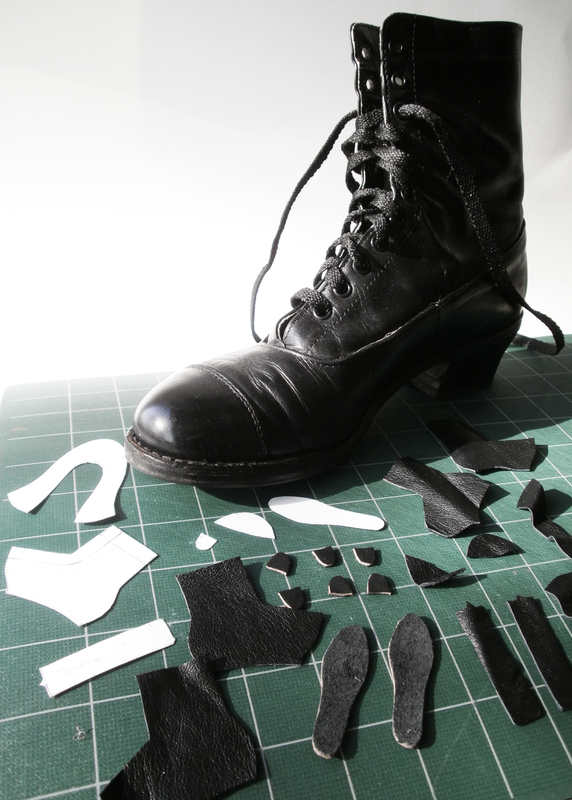 Here you see the puppet’s boot pattern with the cut out pieces photographed with one of the live action character’s boots.